Recorded at CSC Studio in Hamburg, Brighton and London. 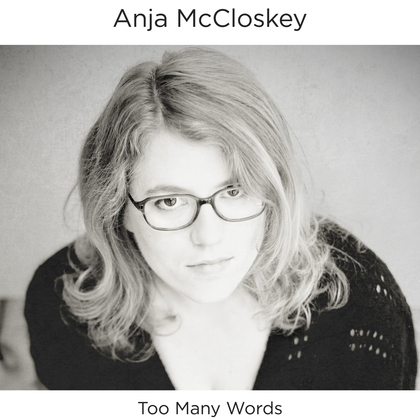 Listening to – and watching the video for – Anja McCloskey’s new single ‘Too Many Words’, is like being transported into another world…several listens in and I’m daydreaming of family summer holidays to Paris, armed with a quaint picnic box and melting ice creams, sitting under the Eiffel Tower. Genuinely. Too Many Words is a single from Anja’s upcoming album ‘Quincy Who Waits’ (set for release in July 2014) and features Mikey Kenney from Ottersgear, as well as Fredrik Kinbom, Campbell Austin (Moneytree, TS Idiot), Joseph Kelly (Etao Shin) and Dan Whitehouse.